The BeWell.il Digital. Health. Now. Conference was a great success! Supported by IATI, SNC, Takeda, MSD, Philips and BioHouse, the Conference featured cutting edge presentations, workshops and B2B meetings, introducing start-ups with breakthrough technologies to healthcare organizations . We thank Jonathan Menuhin, Executive Director, and Yael Ophir, Director Healthcare and Life Sciences, at the Israel Innovation Institute . The Digital Health revolution is transforming healthcare systems in a variety of ways: through data collection and processing, continuous monitoring, information integration, and system management. The vision of "digital health as a growth engine" has begun to impact start-ups, health organizations and the larger ecosystem. The Digital. Health. Now. 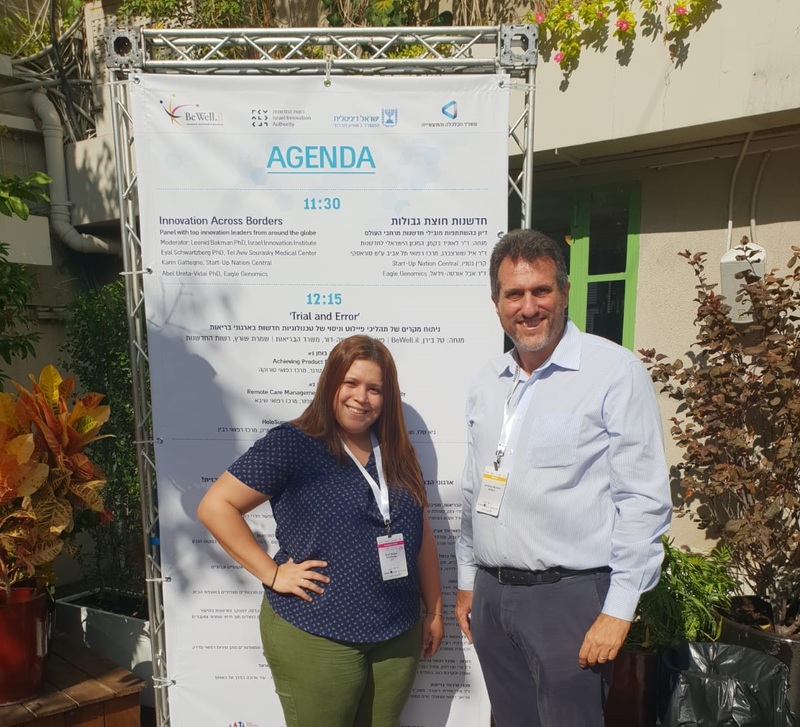 conference aims to empower existing processes and promote the development and introduction of breakthrough technologies to healthcare organizations focusing on topics to improve medical services in Israel. In July, 250+ participants attended an event addressing the needs of Haifa’s health organizations. Attendees included senior officials and leading professionals from Rambam, Bnai Zion, Carmel and Assuta medical centers, as well as Clalit, Maccabi and Leumit HMOs, and CEOs of start-ups and technology companies such as Philips and GE. There were more than 80 B2B meetings held on site! between health organizations and start-ups, as well as an innovative technology exhibition. Following this successful event, we are pleased to invite you to our annual national-level conference: ‘Digital. Health. Now.’, that will attract 600+ of participants from across the ecosystem;20+ health organization officials,130+ start-ups and entrepreneurs, industry executives, venture capitalists, investors, academic leaders and students. Organized by BeWell.il Digital Health Community – a joint venture of the Israel Innovation Institute, Ministry of Economy and Digital Israel – Supported by SNC, IATI, Takeda, MSD, Philips and BioHouse the conference aims to promote the development and implementation of digital health innovation to improve Israel's healthcare services and create a competitive advantage for Israeli companies worldwide. • Challenges of Health Organizations: officials from healthcare organizations will present their significant challenges on the conference main stage. • “A Glimpse at the Future of Digital Health”: Presentation of Solutions: Start-ups and Technologies in Real World Spaces. The audience will have the opportunity to experience innovative technologies in a variety of real world settings; such as hospital, clinic, home and more. • B2B meetings between start-ups and health organizations: a unique opportunity for start-ups to meet innovation managers of these organizations - to encounter new technologies and create collaborations. * Hundreds of such meetings are expected during the event. • Innovation Leadership Workshop: a special workshop for innovation promoters inside health organizations; what is the difference between a problem and a challenge, how to present and define challenges, and what are the ways to make medical information accessible to start-ups. "Analyzing Challenges in the Process": presenting case studies on the collaboration of three start-ups with health organizations. The opportunity to learn how to start a pilot, formulate a contract, mistakes can be avoided and more. • Pilots Workshop for the Innovation Authority: an opportunity for start-ups to learn how to apply for a grant; what are the funding programs in Israel and abroad, what obstacles hinder the grant and how to submit the application. We invite you to be a partner in this leading digital health event. Be among the first to pave the way for integrating digital innovation, discovering breakthrough technologies and health organization challenges, and meet as many as 600+ people who make up Israel’s digital health. You are invited to contact BeWell and consider participation!